Blizzard follows a researched approach to player development. The following information introduces our philosophy, player development rationale, and the methods that are used to deliver the Orange Way of Playing. Blizzard operates a building block approach to player development. Players follow an initial path heavily focused on technique and skill development and as competency increases tactical elements are introduced. Within each building block is an extensive curriculum designed to focus on the necessary skill set. 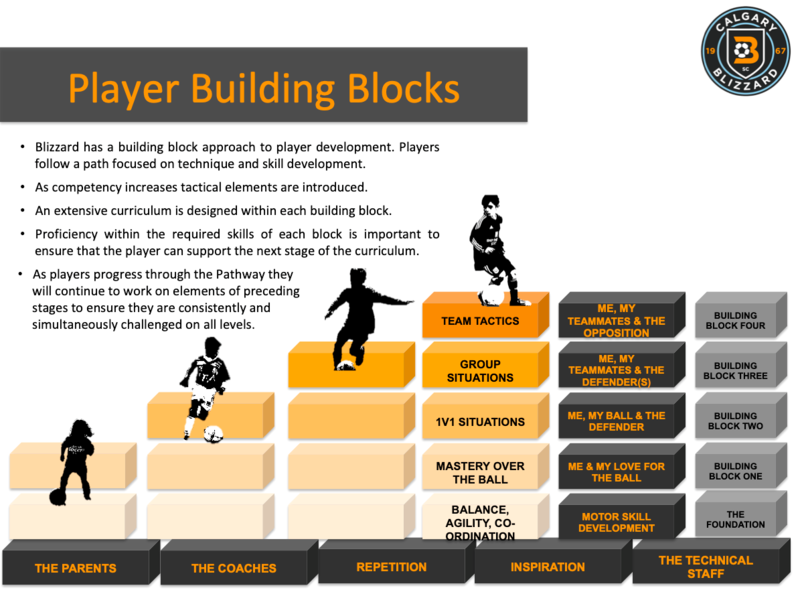 Proficiency with each block is important to ensure that the player has acquired the required skills to support their development at the next stage of the curriculum. Each building block is tied closely together. As a player progresses through the Blizzard Pathway they will continue to work on elements of preceding stages to ensure they are consistently and simultaneously challenged on both fundamental and advanced levels. 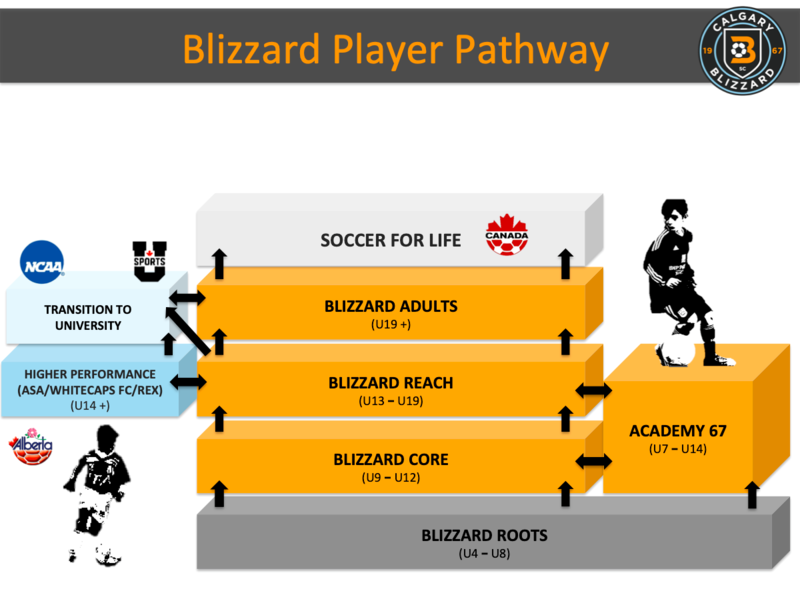 The Orange Way, Blizzard development path follows the Canada Soccer Long Term Development Roadmap.